The New York Times gaming correspondent Seth Schiesel recently defied the mold for year-in-review video game wrap-ups — rather than handing out commonplace awards such as “Best Action Game” or “Best Indie Game Fueled by Dew“, his honorable mentions were awarded based on “Best Zombies” (Left 4 Dead, natch) and the fairly inflammatory “Best Explanation of Why Nintendo Hardly Needs Big Games Anymore” (the Wii). Grand Theft Auto IV‘s Thailand distributor, New Era Interactive Media, is asking retailers to pull the title after an 18-year-old said he was inspired by the game to rob and murder a 54-year-old cab driver. 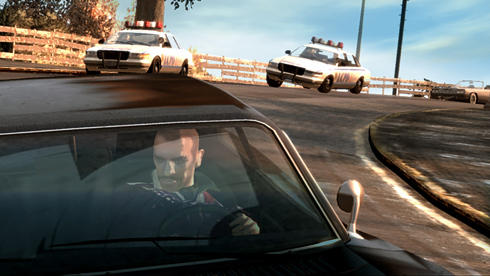 According to police investigator Veeravit Pipattanasak (via Reuters), the young man wanted to find out if it was as easy to rob a taxi in real life as it was in the game. After the cab driver fought back, the young man stabbed him to death. Thailand’s Culture Ministry plans to use the incident as an opportunity to try and regulate violent video games. As for the 18-year-old, if found guilty, he faces the possibility of lethal injection as punishment for the murder. New cities? Pfft! How about an entire state?! While rummaging through the Rockstar Social Club, a GTAForums poster uncovered the plane ticket pictured above (full view). Looks like Niko is headed to the fine state of San Andreas, famous for its lowriders and piping hot coffee. Whether it’s the stuff of fan fiction or a not-so-subtle hint of content to come, your guess is as good as ours, but the ticket does rekindle last month’s rumor that the exclusive GTA IV DLC for Xbox 360 will feature “new downloadable cities.” What’s curious is that the flight isn’t destined for one of San Andreas’ specific airports, but rather the state itself. What could it mean? Well, for one, that you’d need a bigger hard drive. Alternate theory: The “San Andreas” on this plane ticket could be a reference to the original San Andreas, a top-down city based on San Francisco, from the first Grand Theft Auto. Between the comprehensive in-game map, the GPS-imbued minimap, and the TomTom-esque functionality of certain vehicles, we’ve yet to misplace ourselves within Liberty City’s digital boroughs. Still, if you find yourself lost whilst playing Grand Theft Auto IV, we guess this Liberty City map application (mapplication?) using the Google Maps interface would come in handy. A number of user contributions have already been made to the map, showing the location of hidden items, easter eggs, pigeon locations, stunt jumps, and yes, even hookers, whom we assume were fitted with GPS locaters by trained prostitute handlers before being released back into the wild. It makes for a useful cartographical companion for those with a laptop near their console of choice — if you don’t mind ruining the fun of exploring the nooks and crannies of Rockstar’s intricately crafted metropolis for yourself, that is. The lucky ducks over at IGN (and many others) somehow scored a visit to Rockstar’s studios recently to get some hands time with an updated build of this Spring’s blockbuster. And, well, let’s just get to it. This, friends, is Grand Theft Auto IV. After their 90 minute GTAIV hands-on preview, IGN came away gushing over the game’s graphics, lushiously dynamic weather effects and put to rest their worries of a jumpy frame rate. To them, this is the next-gen GTA experience they’ve dreamt about. Some interesting tidbits we extracted from their preview were little things, including the addition of auto-saves, every street having a name, how much the physics engine has improved and the fact that Rockstar has kept true to the GTA formula. Other more gameplay focused additions are mentioned like the fact that the combat system will feature a Gears of War inspired cover system (complete with blind firing) and the importance of Niko’s cell phone in the game (you can even call 911). The preview should get you excited for GTAIV and should put to rest any worries you may have had about Rockstar’s commitment to the franchise. Simply put, GTAIV sounds amazing and we can’t wait to give it a spin for ourselves.